Bad Ragaz - Photographers gathered in their droves to catch a glimpse of Borussia Dortmund's Jakub Blaszczykowski and Marco Reus on a day in which Sebastian Kehl annouced his decision to stand down as club captain. 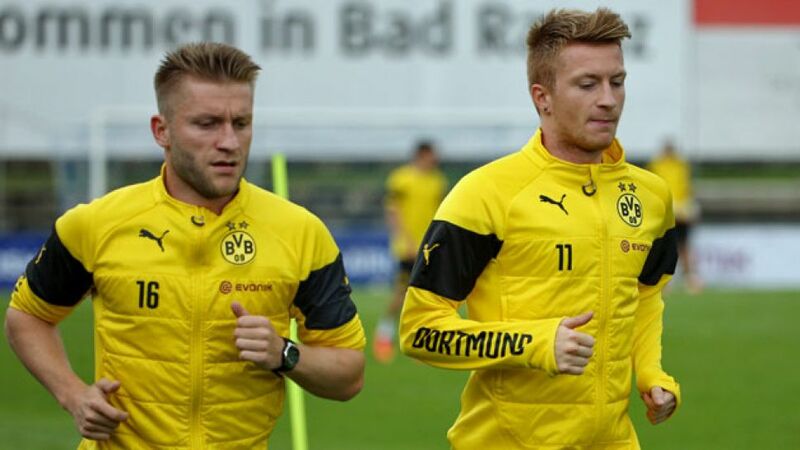 The midfield duo, on the road to recovery after knee and ankle ligament injuries respectively, were snapped completing a 1000-metre run at the club's idyllic Bad Ragaz pre-season training camp just hours before news broke of BVB's vacant armband. "I took to the captain's role with a great sense of pride and really enjoyed it," Kehl told journalists on Wednesday. "With all my experience, I really want to be there to support my successor in the months ahead. Borussia have got a phenomenal future ahead of them and I'm delighted to have been a part of that. The time's right to pass the baton." BVB head coach Jürgen Klopp is yet to name his successor, although 33-year-old goalkeeper Roman Weidenfeller, who has deputised in the past, is thought to be a strong candidate alongside 2014 FIFA World Cup winner Mats Hummels. Kehl, who joined the club from SC Freiburg in 2002 and replaced Christian Wörns as captain in 2008, confirmed his plans to retire from professional football at the end of the upcoming 2014/15 campaign earlier this year.